metal detector - New lower pricing! And now shipping with a great bundle of extras!! yet at one of - if not the - lowest prices to be found anywhere! 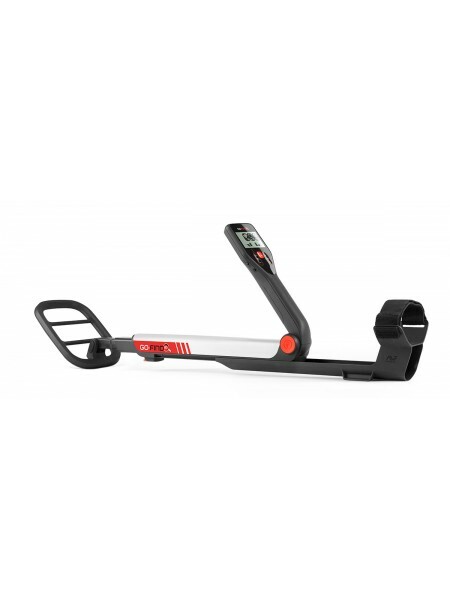 Minelab performance at an affordable price! 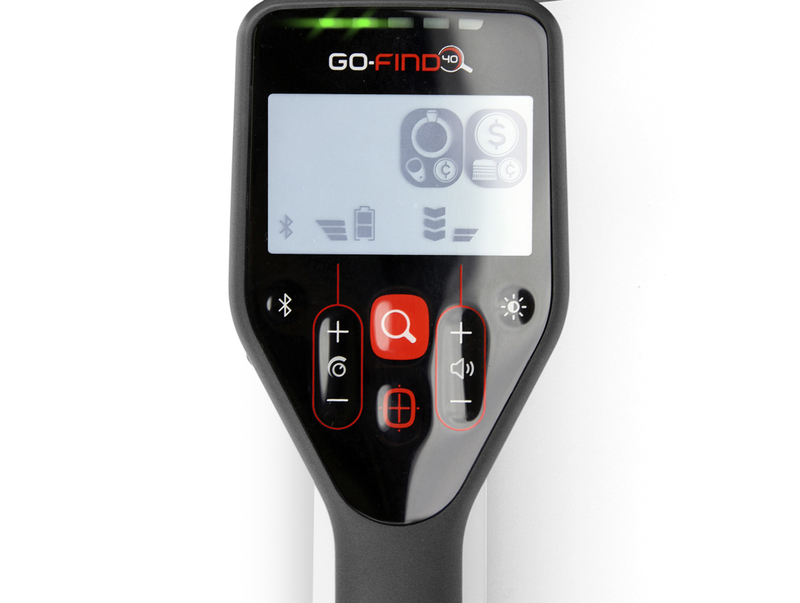 Minelab is thrilled to announce our new GO-FIND entry level detector series. 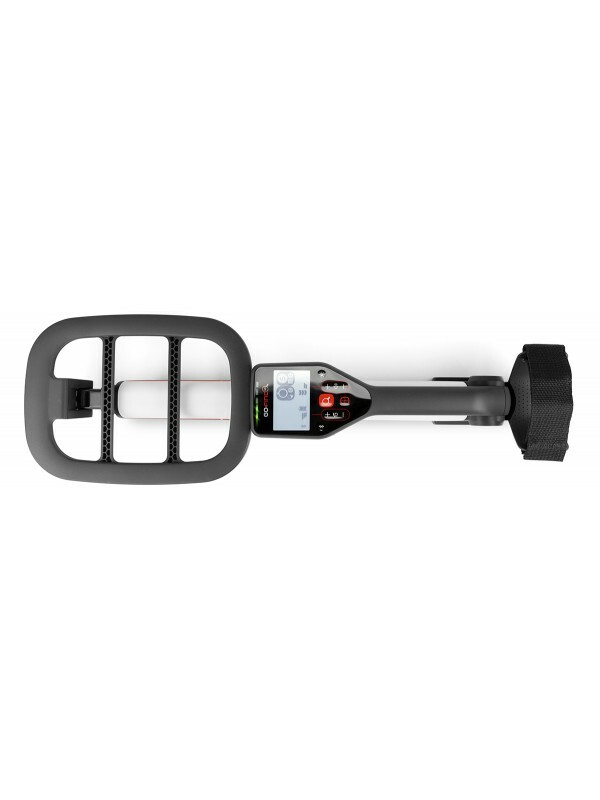 These easy-to-use detectors have been created especially for newcomers to take up metal detecting, with a great range of features at very affordable prices. GO-FIND detectors require no assembly, collapse to a small size for transport, and are very lightweight. 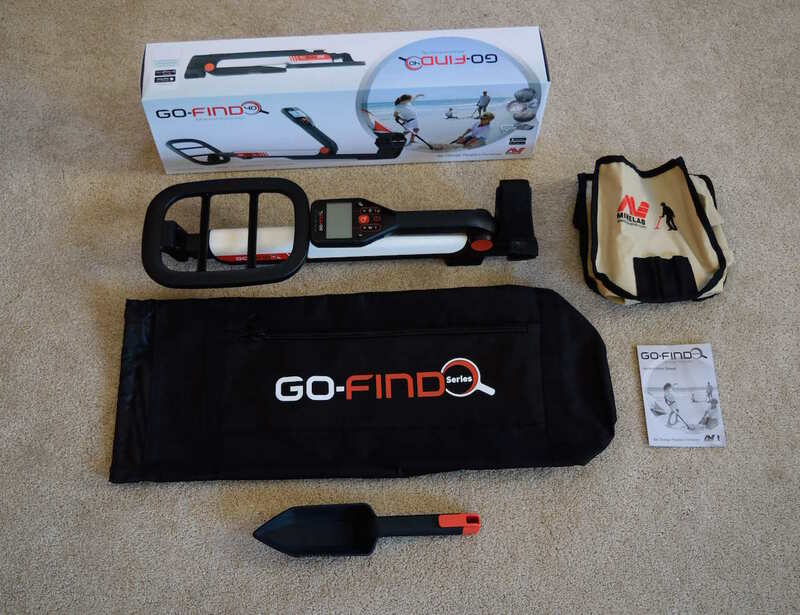 The GO-FIND 40 has Treasure View LED indicators to show possible trash & possible treasure finds, and also Bluetooth integration to work with Minelab's GO-FIND apps that have Coin ID and Google Maps capability. Pack a GO-FIND for your next outdoor adventure. It's awesome fun for the whole family! NO ASSEMBLY REQUIRED!!!!. Unfold... insert batteries... start finding treasure! Length is adjustable to suit everyone in the family! Unique and innovative design. Folds to just 21.5 inches to fit in a backpack or your luggage for easy transport anywhere! Light Weight. Weighs just 2.3 pounds - perfect for users of any age! One button selects target types. No worries getting the coil wet - Submersible to 2 ft.
Connect to social media in real time as you find treasure! Free App included; Pro version available as an upgrade is optional. Ground Balance: Fully Automatic - for best performance under all ground conditions! This is a feature not found in the other brands entry level models! Find Modes: 3 Selectable Finds Modes. Treasure View LEDs: Yes - 5. These turn red for undesireable targets, and turn green for good targets. Sensitivity: 4 Levels, user adjustable. Volume : 5 Levels, user adjustable. Smartphone holder: Not included, but available seperately. Digging Tool: Not included, but available seperately. Earbuds: Not Included, but available seperately. and is designed for users from any experience level. Compare them and pick the one that is best for your needs. 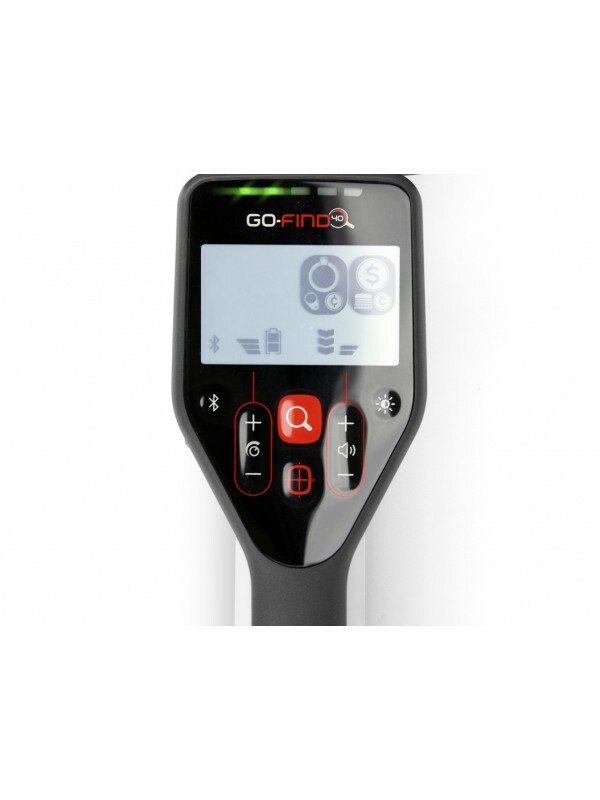 Minelab's innovative Go-Find 60 metal detector - New lower price!! And now shipping with a great bundle of extras!! 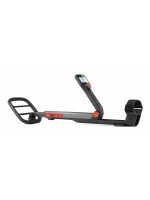 Ge..
Minelab's innovative Go-Find 20 metal detector - NEW Lower Price!!! 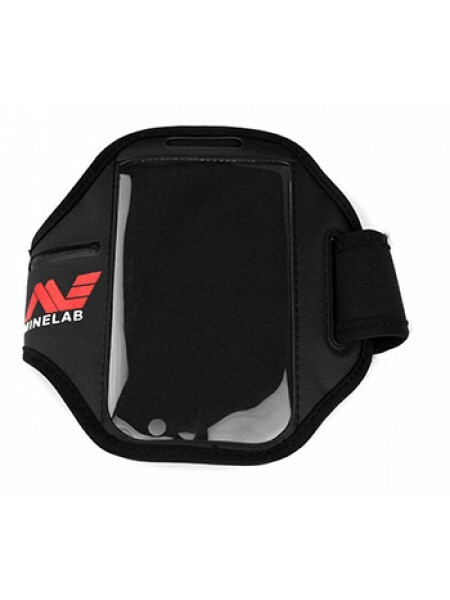 Minelab performance at a..
Minelab mobile device arm band holster Designed to carry your smart phone when using the Minelab Go-Find series of detector..